By Liz Carlson | December 21, 2018 | This post may contain affiliate links, which means we may receive a small commission, at no cost to you, if you make a purchase through a link. Read our Disclosure. 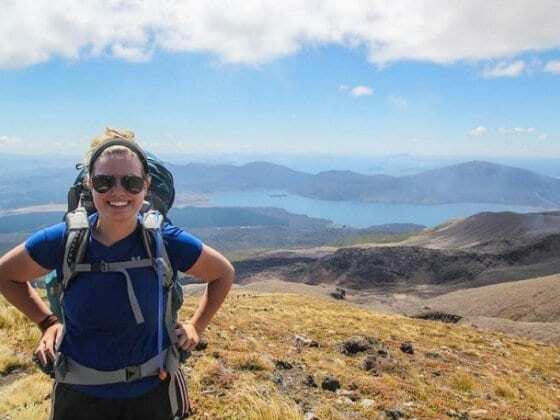 As a perpetual solo traveler and someone who is always on the lookout for the next big adventure around the world, it can be a fine line trying to stay on budget and make your dream trip come true at the same time. 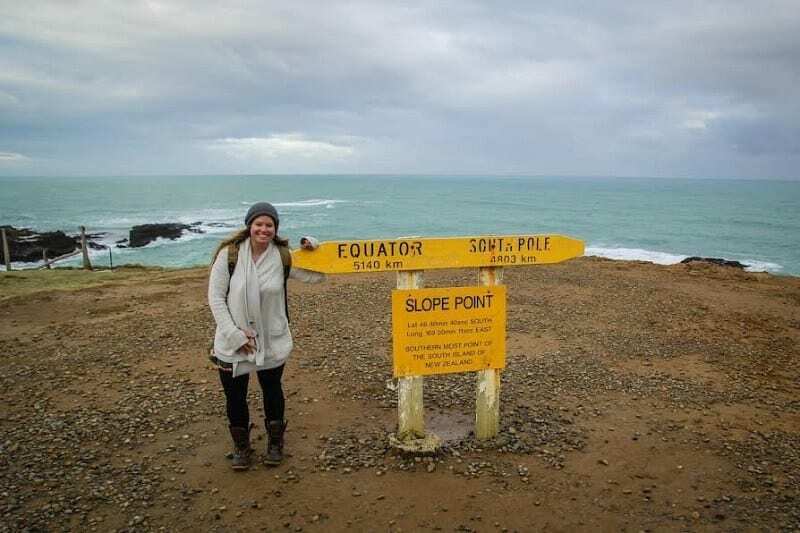 While more often than not I find myself traveling alone, on the occasions that I travel with friends I haven’t found it to be noticeably cheaper, or cheap enough to discourage my solo escapades in exchange for group travel. 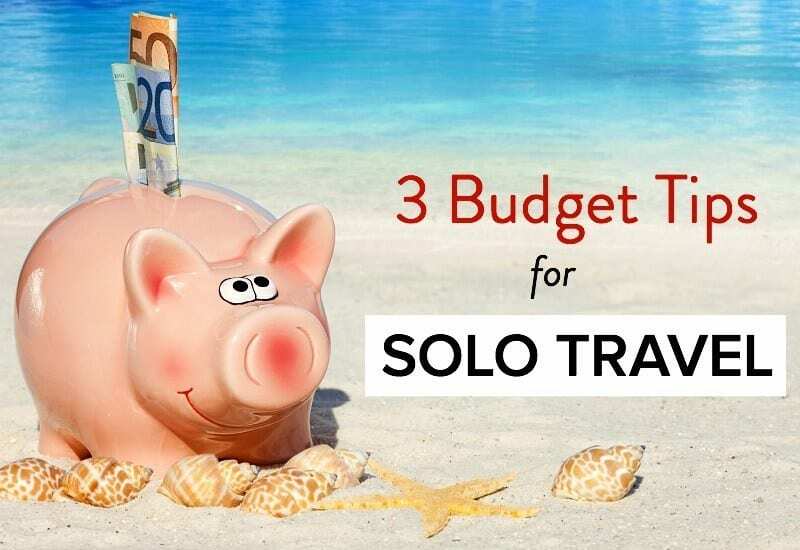 With some careful planning and awareness, not only is solo travel possible but also pretty easy. 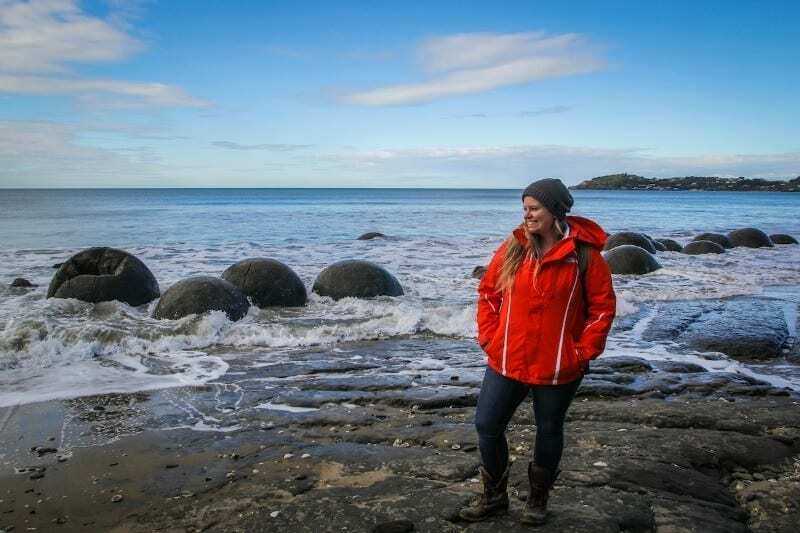 Alone in Moeraki – a small fishing village on the east coast of New Zealand. I think many people are under the impression that if you are traveling by yourself, accommodation is more expensive. Personally, I haven’t really found that to be the case. Most hotel booking sites or house rentals ask how many people are looking for a room and the number of rooms, and many times you get a different quote for single occupancy. Sometimes if that isn’t the case, I’ve contacted hotels directly via phone or email saying it’s just one person in a double room (if single room prices aren’t an option) and I get a discount. If you are traveling alone and don’t mind staying in a hostel, then you pay per person per bed which usually is drastically cheaper. And my best tip of all, if you can be flexible with accommodation, the later you book the better deal you get. Nowadays, I don’t even book in advance unless I have to, I find the place I want to stay online on a booking site, and then phone the hotel directly to enquirer about prices and book whichever one is cheaper. Personally I find transportation to be much friendlier for solo travelers than the other way around. The one time I volunteered to sort out transport on a group trip, I gave up after a day and had to delegate the task onto someone else with more patience than me. After all time is money. For me the only time staying on budget with transportation comes into question is with car or campervan rentals, though that hasn’t stopped me in recent years. Check out my campervan trip in New Zealand. It just means I have to get creative with my budget. Between the cost of the hire, insurance, gas, and parking costs for campervans, it can get expensive. First off, I get the cheapest rental with basic insurance online in advance, not in the airport when I arrive. I go through all of the sites and look for deals until I find a good one from a good company. Oftentimes car hires have weekly discount rates too. Until recently, my car/property insurance in the US covered rentals overseas as well, or if you book travel insurance, this might help you save on insurance costs at the rental company. One of my best secrets are rental relocations, especially for campervans. Oftentimes a rental company with give you a free or $1 a day rental for you to move it between cities for them. For example in New Zealand, it’s very common to fly into Auckland, rent a car and drive all the way to Queenstown and fly out. If you go the opposite direction, you can likely move a vehicle back to Auckland for very little. Oftentimes they’ll include a tank of gas ($100+) and a ferry ticket as well. Gas is gas and apart from driving less and saving more, there isn’t too much I can offer for you there. There are apps and ways to look online to find the best gas prices to help you save. 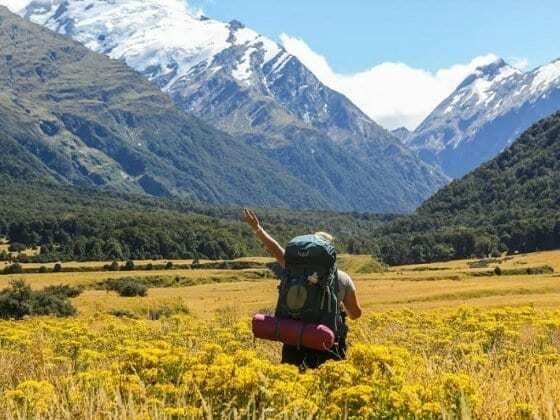 Most holiday parks, at least in New Zealand have a cheaper rate for solo travelers in campervans as well, so if you are traveling alone, you don’t have to pay a higher rate. This isn’t assumed though so make sure you say that when you book in. I cooked pizzas in Italy, as you do! Most group travelers save on food by cooking together and sharing meals, something intrinsically more difficult to do as a solo traveler. Oftentimes when I am staying in hostels or guesthouses with communal kitchens and end up making friends with the other people staying, we would sometimes cook a dinner together, but not always. Generally I try to stay in places where breakfast is included so that leaves lunch and dinner to sort out for myself. As a rule, I usually have a proper meal and light, snack meal per day to keep costs down, though costs vary so widely depending on where you are in the world. Many places meals are so cheap you don’t even have to budget for them while in others they can break the bank, I try to do a daily meal budget wherever I am if I have to be careful and stick to it. If you are by yourself, eating and meals is so easy because you can do whatever you want and don’t have to compromise on anything. Over the years I find I spend less feeding myself when I am alone than when I am with others because there is less of an urge to go out and take on the city and go a little crazy. And I certainly save on alcohol when I am alone, a total bonus. 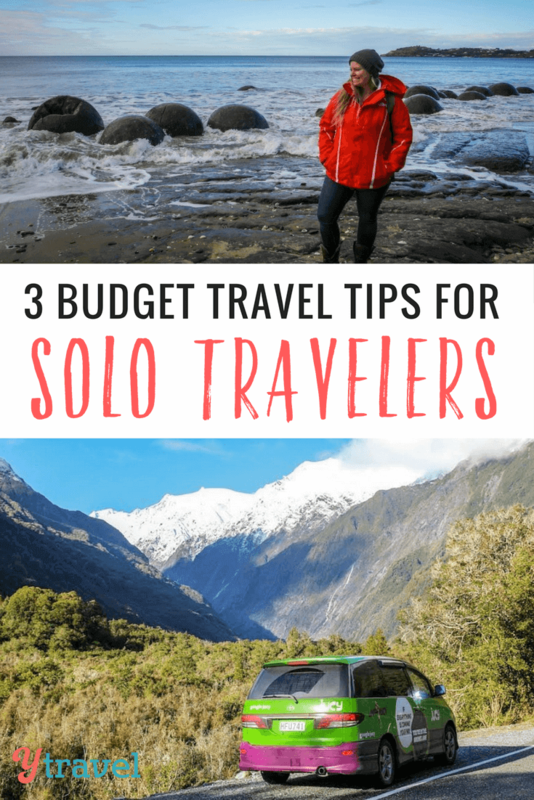 Need more solo travel tips? Liz! I follow you on your site as well! Huge fan of your insight AND your travels. There’s a lot here I didn’t know about being a single traveler or wouldn’t have immediately thought of. Something else I was reminded of while reading that I didn’t see mentioned is signing up for notifications from blogs like this, yours (when the option is there to do so) or from combo travel purchase sites, or travel agencies (some – not all are budget minded) and just keep an eye on the incoming emails and pick out the “travel deals” that come weekly. There’s some places you can get to for the price of the fuel alone if you were to drive for an hour somewhere and back, and the flight is longer than you’d expect it to be for the price. Another excellent article for solo travels. Much appreciated! Thanks for the tips, I didn’t know about the transportation one, I shall share it with other travelers! I have found these to be true, especially the point you make in number 3. When you’re traveling with others not everyone is on the same budget, some can spend more, and you feel obliged to go out for dinner or drink to be social and not be “that” traveler who doesn’t hang out with everyone to save money. Traveling alone gives you more freedom to do what you want with meal time. Great post! Great tips! Something else to consider could be to look at serviced apartments as an accommodation option. Most come with fully equipped kitchens so you can cook for yourself and save on having to dine out. I have never really traveled with others except on a tour. When I travel myself I have either stayed at hostels or cheap hotels depending on the place and my budget. I also try to have breakfast included if possible. For lunch I will eat light for example at food stands, markets, etc and then for dinner I will treat myself but also not to break the bank. For transportation I walk if possible or take public transportation. Between towns I will take a bus or train. I’m a fellow introvert about to embark on my first solo journey and I’m heading to New Zealand. I’ve done a lot of research and planning, but I’m still feeling a bit nervous (and very excited). I’m so glad I found your blog and I’ve read many of the articles you wrote on traveling alone. It has been a relief to see that I seem to be on the right track. 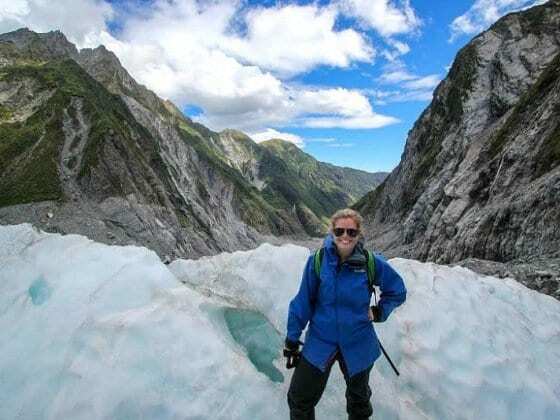 My biggest concern is budgeting as I continually read that fuel is very expensive and I’m planning on covering a lot of ground on both the north and south islands. I just hope they have peanut butter in NZ haha! There may be a lot of peanut butter sandwiches on my menu in November! What I think makes the perfect trip is one that has the perfect combination of being planned yet spontaneous too. If it is too planned as in a tour bus then you’ll end up only with other tourists and no spontanaeity. So plan your trip well but allow for days where you can just be free to explore the place time inhindered. Hi Liz! Great tips, thank you. Just want to share my experience in Greece. It’s a great destination for solo travelers. It’s safe, the people are laid-back, food is incredibly good and cheap. Best of all, it’s easy to island-hop via ferry, especially in the off-season. Book overnight ferries. Taking the overnight ferries can save you up to half off the normal price plus save you a night of accommodation. Traveling in mid-October, pensioners met me off the boat, eager to accommodate an independent traveler and you may find simple rooms with baths for €25–30. I am so happy I stumbled upon your post, Liz! So informative and educational! Keep up the good work!